Why Arizona Senior Assistance Provider (ASAP)? ASAP was established and became an Arizona limited liability company in March 2009. ASAP is an innovative company devoted to serving the needs of seniors, the elderly and their children in the greater Tucson area. Tom Staab is the principle and owner of ASAP. He, together with a team he has assembled, including a CPA, legal counsel, financial planner and administrative assistant, has developed a company devoted to serving seniors and their children. ASAP helps find solutions to confusing and often daily dilemmas, such as health care providers, insurance issues, money management/bill paying or finding an appropriate caregiver. 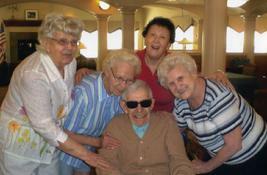 ASAP is committed to the health and wellness of seniors and their children, some who may have become caregivers. ASAP provides sensible solutions for today's independent and dependent life care challenges. As an advocate for elder rights, welfare, care and wellness, no caregiver needs to "go it alone." Today there are options. Children who care for their aging parents have professional assistance in Tucson that can benefit and loosen the load of elder care.